The 2015 camp was a great opportunity for taekwondo, training, running, patterns, free sparring… and more taekwondo. Thank you to the wider Whangarei team for their co-ordination of the successful weekend, and the crucial kitchen team who kept the students well nourished so that they could learn as much as possible. 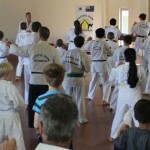 This evening’s additional training for those Whangarei area students who are grading next weekend is going ahead. Cyclone Lusi hasn’t, as yet, delivered any weather which would force a cancellation of training. Grading dates for 2014 have been announced, as below. 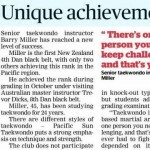 We hope you are enjoying your Christmas and New Year and look forward to seeing you back at training ASAP, especially with the short lead up to the March grading! 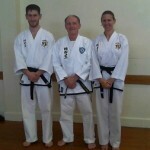 The three Whangarei based branches of PSTKD enjoyed a 100% pass mark at June’s grading. 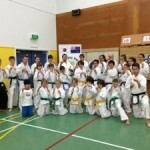 All students from Whangarei Central, Ngunguru and the recently added Mangapai club successfully moved to new grades.